Best Doctor! I felt that everyone cared about me. Dr. Halfon and his staff are some of the most caring people I have come across. I am very satisfied with this provider, and the staff. Everyone is very helpful. Clean office, friendly staff, great Doctor. Always good service and very friendly staff. Staff and doctor are always friendly and make you feel comfortable. He's is such a kind caring doctor. Always has time for any questions or concerns I have. Dr. H. and his staff are extremely warm & caring at every visit. Doctor takes time to answer all questions, not rushed and respectful. He is very professional and with great bed manners and compassion. I highly recommend! As the sole practitioner at Isaac Halfon MD Obstetrics and Gynecology, Dr. Isaac Halfon provides personalized and compassionate medical care to each of his patients in the Wellington, Florida area. Dr. Halfon believes that good medicine starts with establishing a relationship built on trust. At his practice, patients can trust that they’ll only ever receive care that's based on the most up-to-date medical science and evidence-based practices. Dr. Halfon specializes in both obstetrics and gynecology, providing women a practice where a single physician handles everything from pregnancies to minimally invasive gynecological procedures. That ensures that each of his patients receives expert care from a doctor who has a clear picture of each patient’s entire reproductive health and medical history. As a board-certified physician in obstetrics and gynecology since 1992, Dr. Halfon prides himself on helping women navigate the many phases of womanhood as safely and comfortably as possible, from puberty through childbearing, on up to menopause and beyond. Originally from Houston, Dr. Halfon received his Bachelor of Science from the University of Houston, graduating with highest honors. He went on to get his medical degree at the Texas Tech Health Science Center in Lubbock, Texas and continued another four years with Texas Tech Health Science Center in El Paso where he received his OB/GYN specialty. In 1994, Dr. Halfon and his family relocated to Wellington, Florida, where he’s been providing excellent medical care ever since. Dr. Halfon accepts most PPO plans. If you do not see your provider listed here please reach out to the office. Is Your Heavy Period Affecting Your Life? "His professional character and personable demeanor make him so comforting and enjoyable. The office receptionist, along with his assistants are top notch!" "Not only does he take time to talk to you and explain everything, his staff is so on top of returning calls and calling you with test results." "This doctor is not only smart, compassionate, caring and sharp but he gives you clear understanding of all possibilities and still works with what you want." "He is extremely meticulous and extremely cautious but that's why I loved him so much! Phenomenal doctor!" Dr. Halfon and his staff are some of the most caring people I have come across. They are always available to answer questions and always make you feel important. Dr. Halfon has been one of the most professional Dr I have seen in years. He is over concerned at times but that is a good thing because it shows how caring he is. 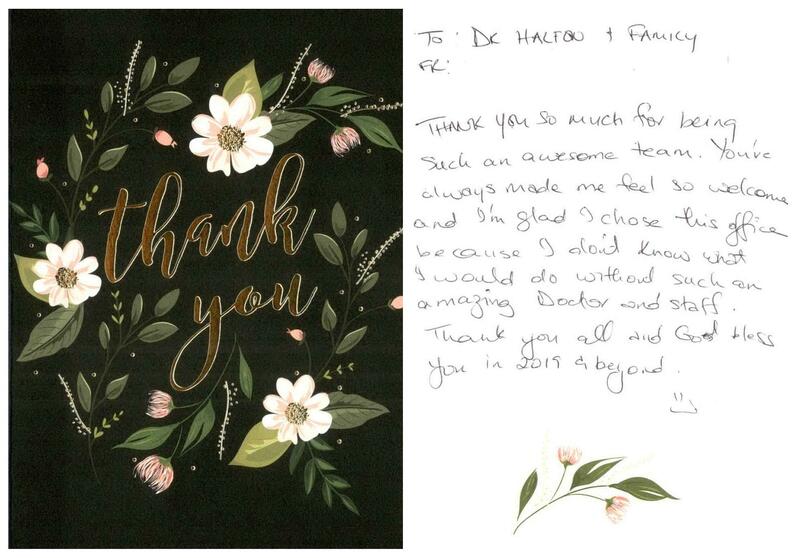 Dr. Halfton and his staff were an absolute pleasure to deal with. I look forward to them providing my healthcare in the future. This office is the best office I have ever visited!! Everyone is so friendly and knows exactly who you are. They are very caring. Office staff was very pleasant and welcoming. Dr. Halfon took his time time to explain what he was going to do and didn’t make you feel rushed. Friendly, kind,caring environment! Dr. Halfon Rocks!!!! Dr Halphon has been my Ob/gyn for many, many years and he is always there for me. Dr. Halfon and staff treat you with kindness and respect. They always make you feel like a priority. I think my feedback says it all. From the doctor to his staff are wonderful. I would rate them higher if I could.